A teenager has been charged after several cyclists were pushed into the Union Canal in Edinburgh. Three men suffered minor injuries after being pushed into the water on the evening of Wednesday 27 March. 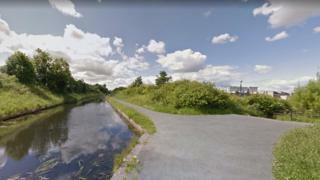 They were confronted in separate incidents on the canal path near Murrayburn and Wester Hailes. Officers from the south west community policing team launched an investigation and a 17-year-old boy has been charged with a number of assaults. Sgt Alex Dickson said: "Tackling violence, disorder and anti social behaviour is a priority for police in Edinburgh and such reckless behaviour will not be tolerated. "We would like to thank the public for their positive response in relation to these incidents which was of great assistance during the inquiry."